Day One! 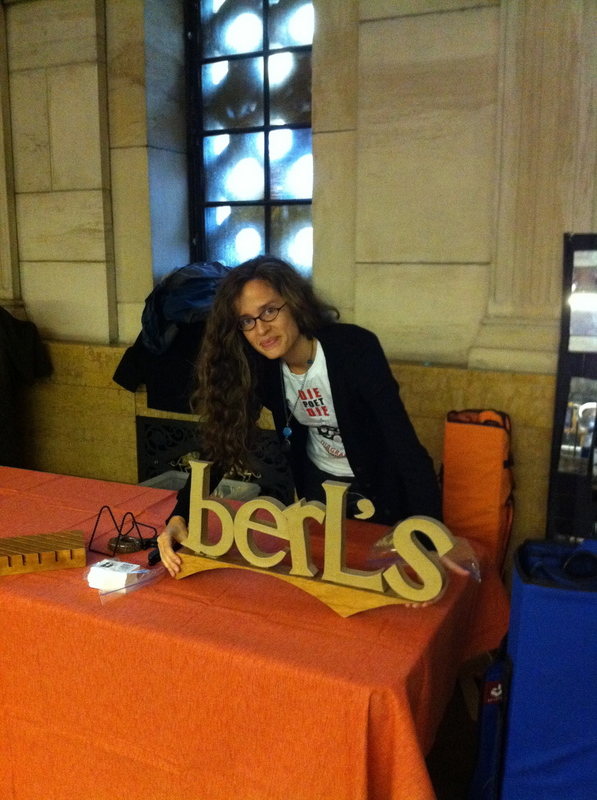 Farrah brandishes our first Berl's sign, designed by Jared's father. Our very first customer was poet Zachary Schomburg, here perusing (IR)RATIONAL ANIMALS by Steven Karl from Flying Guillotine Press. 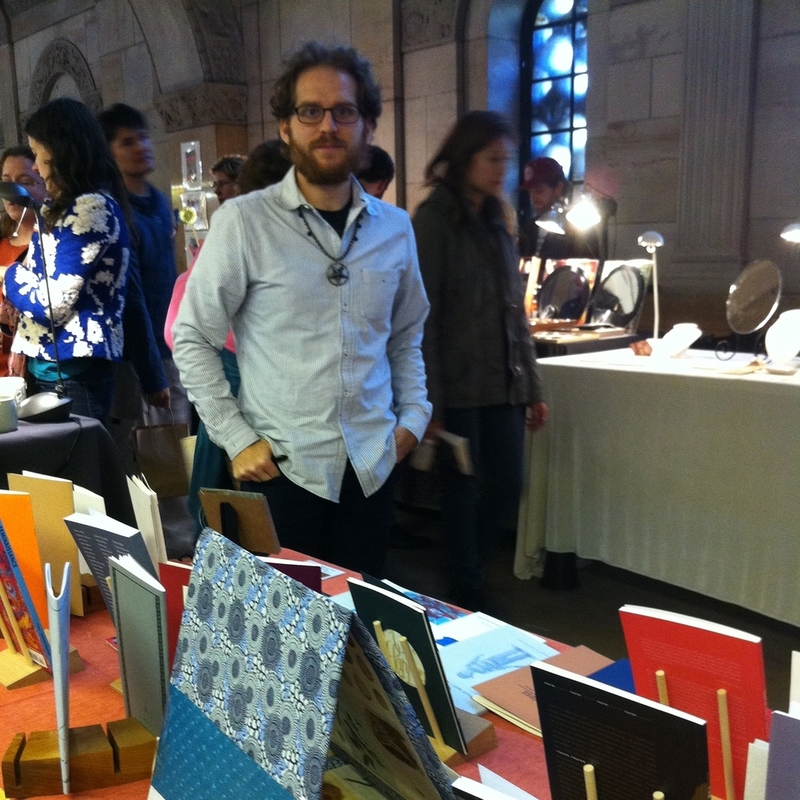 In the gothic cathedral-like lobby of the historic Williamsburgh Savings Bank Tower, Berl's found its original home as a booth nestled in a row of former teller windows between the wares of a jewelry designer and a silkscreen printer. 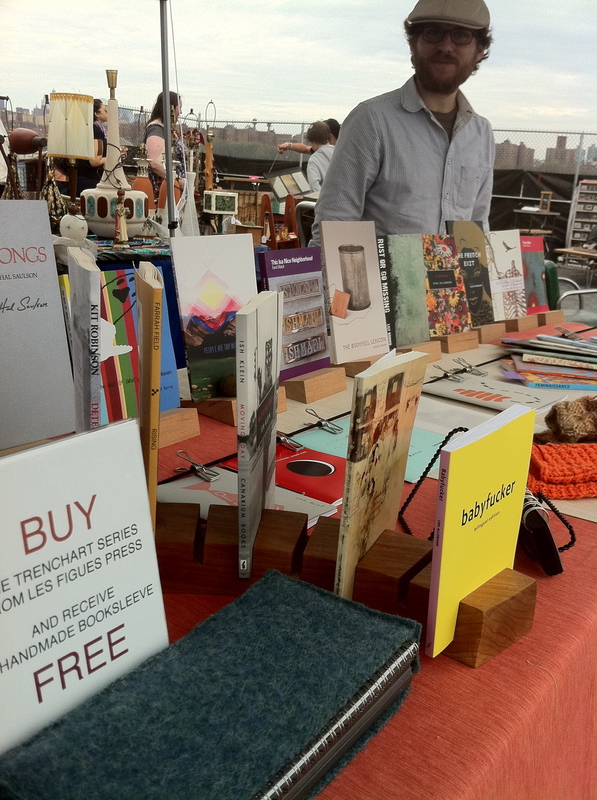 Every week for the next two years, we introduced a new selection of limited edition chapbooks as we followed the Flea outdoors to its locations on the Williamsburg waterfront and in brownstone Fort Greene. 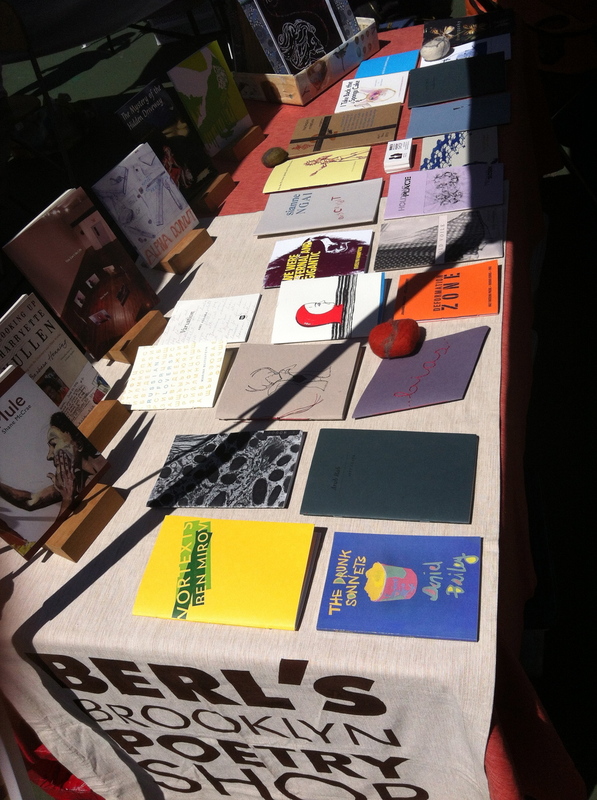 The booth became a mobile tent with our chapbooks blowing in the breeze, protected by handmade yarn, our own wooden bookstands and by special felted stone paperweights courtesy of our artist friend Kassia Walsmith. We rigged hanging displays so our tent itself could double as makeshift shelves, highlighting the complete output of a single small press. 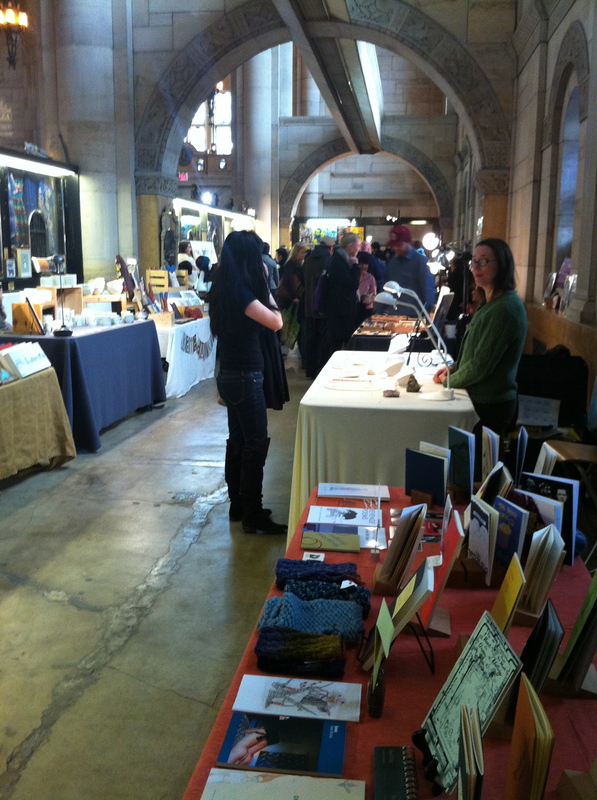 Popsickle Poetry Festival founder Niina Pollari peruses books at Berl's pop-up booth, including MY ZORBA by Danielle Pafunda (Bloof Books). 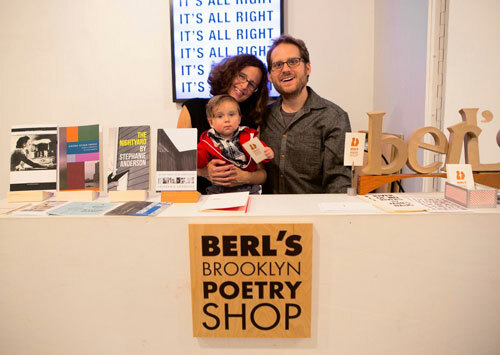 As a pop-up shop, Berl's made appearances in a wide variety of venues all around Brooklyn and beyond, from the New York Poetry Festival on Governor's Island and the Popsickle Poetry Festival in Gowanus to the holiday fair at Third Ward in Bushwick. We even brought the shop to a bowling alley for a special local makers night and indie rock concert at Brooklyn Bowl in Williamsburg where, in an unlikely coincidence, the featured band recognized one of the poetry books on our display as being written by the singer's best friend! More than anything, we learned at the Flea that even if everyone does not write poetry, everyone knows someone who does, and that poetry reaches everyone. 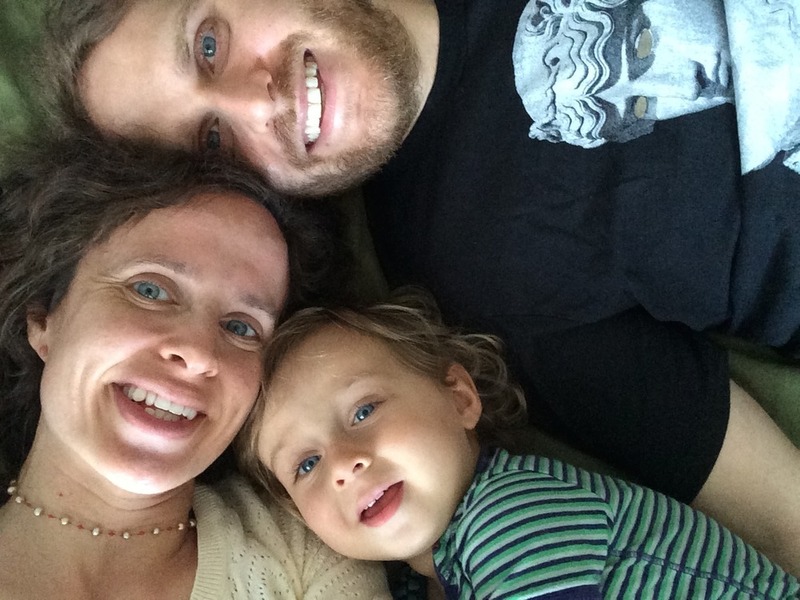 In the Spring of 2013, after many months of searching, we came across an available storefront a few blocks away from our longtime home in DUMBO Brooklyn, the former location of an arts boutique called spring. Furnished with a metal floor installed in homage to the Bauhaus, the space was perfect: vaulted and spacious with a friendly red stoop and ideally set up to present words in an art context. 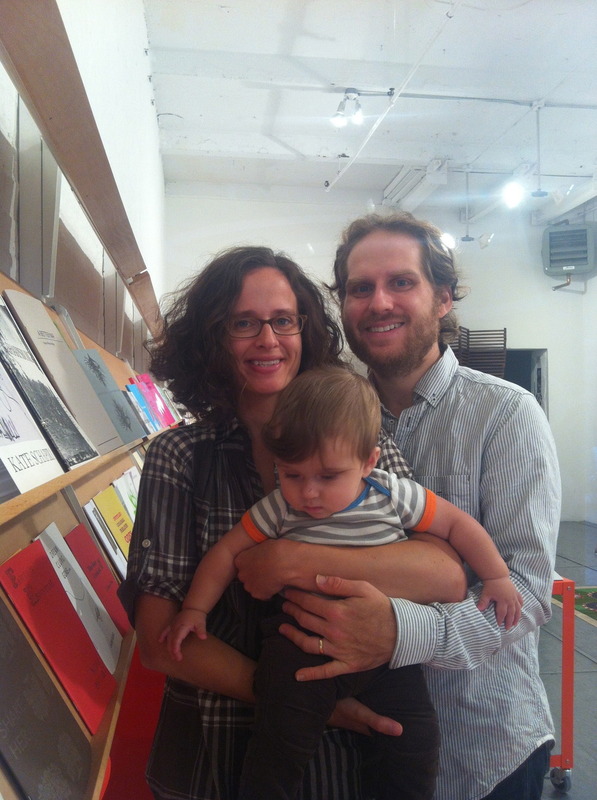 We moved in over the summer of 2013 and opened for business in September, 2013, just in time for the Brooklyn Book Festival... and our infant son's nine month birthday! Three years later, in June 2016 we moved across the street to our current storefront at 141 Front Street. Formerly a candy store, our current shop now features a dedicated performance space as well as plenty of room for a vinyl-style chapbook case perfect for browsing and exploring our ever-growing selection of books.